Donald M. Mewhort, III, Esquire, has been the President and Owner of Midland Title and Escrow, Ltd. since 2008. 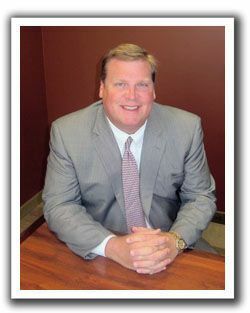 Prior to 2008, Mewhort was President of First American/Midland Title for four years and President and Partner of Midland Title Agency of Northwest Ohio, Inc. He began his career in 1991 as Director of Association Services with Associated General Contractors of Northwest Ohio, before becoming President of that company in 1997. Mewhort earned his Bachelor of Arts Degree from Wittenberg University in 1987 and his Juris Doctor Degree from University of Toledo in 1990. He was admitted to practice law in the state of Ohio in 1991. Currently, Mewhort serves on and is Chairman of the Lucas County Plan Commission. He has had previous experience with the Lucas County Building Board of Appeals, City of Toledo Building Board of Appeals, Lucas County Fire Prevention Board of Appeals, and City of Toledo First Prevention Board of Appeals. Besides being involved in the community, Mewhort enjoys sports and spending time with his family.